Oh, the transition of winter to spring. Snow still lies on the ground as flowers are starting to bloom. At this time of year porter tends to be too full-bodied and toasty but hefeweizen is too light and sweet. What is one to drink during Mother Nature’s transition? 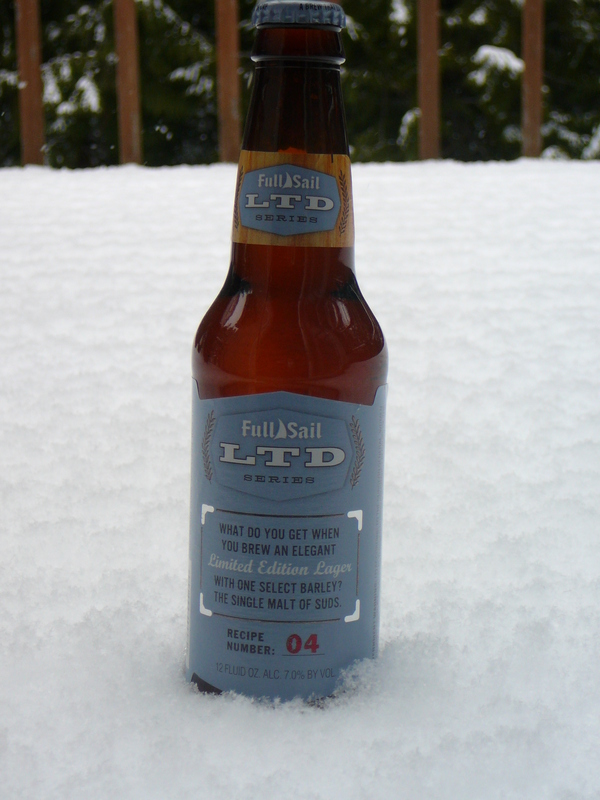 How about cracking open a Full Sail LTD 04? Brewed from December through March, this lovely lager is crisp and flavorful with a medium body and nice citrus finish. Full Sail uses just one pale malt and only Willamette hops in the brewing process. The result? A great complex lager that is flavorful enough to be enjoyed during the winter and light enough to be enjoyed during the springs! LTD 04 is very well-balanced and easy to drink. But be careful, at 7% ABV this baby is bound to sneak up on you!